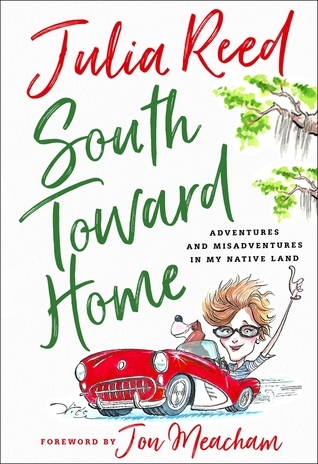 In thinking about her native land, Julia Reed quotes another Southern writer, Willie Morris, who said, “It’s the juxtapositions that get you down here.” These juxtapositions are, for Julia, the soul of the South and in her warmhearted and funny new book, South Toward Home, she chronicles her adventures through the highs and the lows of Southern life—the Delta hot tamale festival, a masked ball, a rollicking party in a boat on a sand bar, scary Christian billboards, and the southern affection for the lowly possum. She writes about the southern penchant for making their own fun in every venue from a high-toned New Orleans dinner party to cocktail crawls on the streets of the French Quarter where to-go cups are de rigeur. As someone from Mississippi, I was sure I would enjoy this. I personally had never heard of Julia Reed or Garden and Gun magazine. Seems an odd pairing. But I gave it a shot. I almost gave up on the forward. Unfortunately this wasn’t one of my favorites. There was a lot of jumbled parts and enough of the “I digress”.